“DS/DM is a way of preparing the body for dance that is inherent to your thinking and your imagination. It needs a connection with your own choices, also during the improvisation with other elements and materials. The experience creates a condition and an opening, it is not something fixed by rules that say: this is how you should dance. It is rather the opposite, you use it, and then you contrast it in an open field of intervention and manipulation". Double Skin/Double Mind (DS/DM) is a dance method developed by Emio Greco and Pieter C. Scholten to discover the sensitivity of the body through four basic principles: Breathing, Jumping, Expanding and Reducing. This awareness of the possibilities that the body can generate is necessary when creating new choreographic material. Because of this, the DS/DM method is the basis of every individual performance by Greco and Scholten. The DS/DM method is offered as a masterclass, a training or a workshop to both amateurs and professionals. Experiencing the DS/DM method can lead to a new physical and mental awareness in which intention and form coincide. DS/DM also provides insight into the artistic work of the two choreographers. Double Skin/Double Mind originated in 1997, when Greco and Scholten were invited to teach a workshop in the context of the Internationale Tanzwochen in Vienna. This request raised a number of crucial questions with Greco and Scholten, such as: “What is the essence of our work?” “What is a workshop?” And: “How can one transfer a dance language that is based on intuition?” They eventually developed the Double Skin/Double Mind method as a daily workout for the dancers and as a preparation for the creative process. In addition to discovering the potential of the body there is also room for reflection and for the transfer of EG | PC repertoire, which forms the fifth principle of the workshop: Transfer. The DS/DM method has been taught around the world for many years now. The method plays an essential part in the transfer to Greco’s and Scholten’s dancers, in education and in teaching dance students at a professional or amateur level. Recently, the method has also been applied in teaching schoolchildren and in courses for managers and their staff in the corporate world. 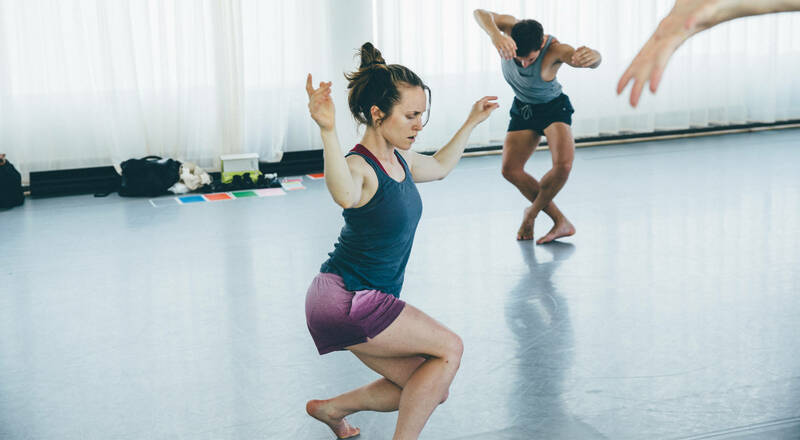 Moreover, DS/DM is an important source to many of the research projects taking place within ICK with various national and international partners, such as Capturing Intention (2009), Inside Movement Knowledge (2010) and Choreographic Coding Labs (2017). The teaching method Sensorium - Toolkit for dance for children, that was launched in 2017, is based (in part) on previous research concerning DS/DM. To safeguard the quality, ICK began issuing DS/DM certificates for teachers of the method in 2017. Between January and July 2017, a group of (ex-)dancers gathered to further develop the artistic potential, the goals of the method and didactic strategies. The DS/DM method for teachers is offered on an annual basis. After following and completing the training, teachers are well equipped and qualified to teach the method, to professional dance companies, dance academies and amateur dancers. Born in France in 1989, Victor Callens studied at the National Conservatory in Paris (Conservatoire National Supérieur de Musique et de Danse de Paris) where he graduated in 2007. He then performed with Emio Greco and Pieter C. Scholten at ICK Amsterdam for 6 years where he danced in most of the new creations and repertoire pieces. In 2011, he received a Swan nomination at the Nederlandse Dansdagen for the most impressive dance performance for his part in you PARA DISO. Meanwhile, Victor worked on different projects with Jean-Paul Gaultier, Pierre Audi, Janine Jansen, Jean-Baptiste Mondino, Arno Dierickx and Andrea Bozic. In 2014 he joins Emio Greco and Pieter C. Scholten in Marseille where he becomes a member of the Ballet National de Marseille (BNM) as a dancer and assistant. Working as a freelancer from 2017, Victor is now working with choreographers Eric Ming Cuong Castaing and Mavin Khoo beside carrying out his own projects. Suzan Tunca was born in 1975 in Rottweil, Germany, to a Turkish family. She studied Theatre Dance at the Academy of Arts in Arnhem (ArtEZ) between 1994 and 1997. After graduating, Suzan started working as a dancer, choreographer and choreographic assistant in the Netherlands and abroad. She worked with, among others, Krisztina de Châtel and Dylan Newcomb. Between 2003 and 2007, Suzan began investing in a long term dialogue between the dancing body and the development of interactive music technology, transcribing motion into sound. During that time, she started dancing with Emio Greco | PC (now ICK Amsterdam). She was a dancer with the company from 2005 until 2013. In 2007 she received a nomination for a Swan for the most impressive dance performance in the Netherlands. In 2015, she completed her artistic research at the University of Amsterdam, thereby obtaining her master’s degree. Since 2016 she has been a dance researcher at ICK Amsterdam, a participant in the first 3rd Cycle research group in the performing arts in the Netherlands at the Graduate School of Amsterdam University of the Arts, and guiding BA dance students in their own artistic research path at Codarts University of the Arts. Born in Barcelona, Barbara graduated in 1999 from contemporary dance school P.A.R.T.S in Brussels (BE) and was a member of dance company Emio Greco | PC from 2000 till 2006. After leaving the company of Emio Greco she collaborated as a freelance dancer with choreographers such as Keren Levi, Hillary Blake Firestone, Pere Faura and in 2008 she re-connected with the work of Emio Greco and Pieter C. Scholten as a dancer, rehearsal director and Double Skin/Double Mind teacher. Barbara has also been a guest teacher at the School for New Dance Development (SNDO) and Modern Theatre Dance (MTD) departments of the Amsterdam School of the Arts (AHK) and is currently the artistic coordinator of the Academy at ICK. Vincent Colomes was born in Paris, France in 1975. He studied ballet from the age of 8 with Thérèse Jehannin at the Conservatoire Municipal de Tremblay. In 1995, he graduated with a degree in ballet. After his graduation, Colomes danced for various companies and productions such as Ballet National de Marseille under Roland Petit, Introdans (Arnhem), Compañia Otros Ramon Oller (Barcelona) and EG | PC, which later became ICK (from 2006 – 2013). From 2007 and onwards, Colomes teaches DS/DM classes, as well as workshops and repertoire. Since 2012, Vincent started studying flamenco in Amsterdam with Vida Peral. From 2013, he has visited Sevilla on a frequent basis, supported by Omscholing voor Dansers. 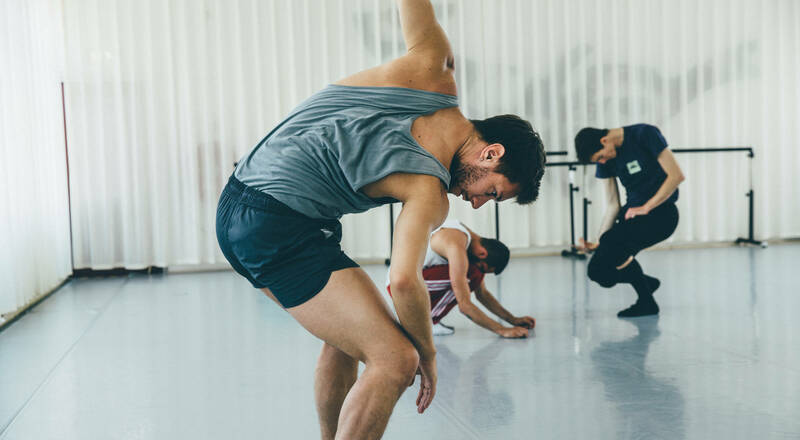 Since 2013 Colomes has also started working as a freelance dancer and teacher (in DS/DM, contemporary dance and ballet), creating dance performances. Since 2015, he is also participating in workshops of Julyen Hamilton and classes of Lily Kiara. Sawami was born in Osaka, Japan. After graduating from Saga Art College in Kyoto, she was selected for a scholarship program at ImPulsTanz Dance Festival in Vienna, Austria in 2001. In 2002, Sawami joined the Amsterdam-based dance company Emio Greco | PC (now ICK Amsterdam) and took part in most of their productions and repertoire up until 2013. With the company, she performed all over the globe. Sawami currently works as a freelancer. After 17 years of living and working in Amsterdam (NL), Kelly is now based in Ann Arbor, USA. She has completed her Double Skin/Double Mind teacher training in 2017 after four years of intensive training while working as a dancer with ICK Amsterdam. Kelly received a Bachelor of Fine Arts in Dance from the University of Michigan in 1999 and is currently a graduate instructor there while working towards her Master’s degree in Dance. 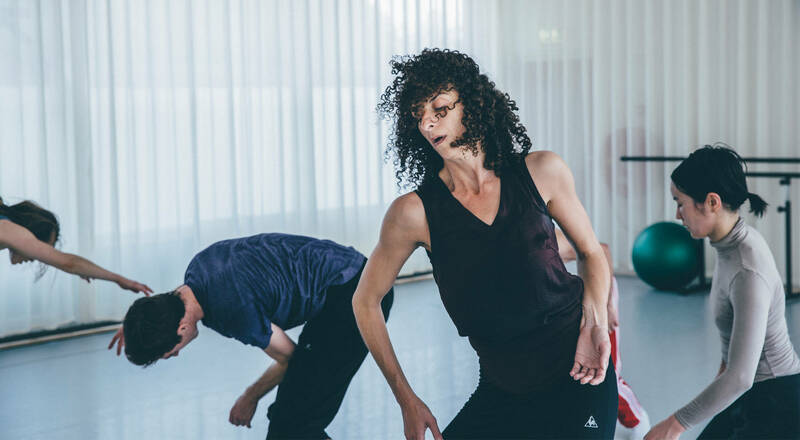 In 2000, a Fulbright scholarship took her to the Netherlands where she worked with many different choreographers such as; Emio Greco & Pieter C. Scholten, Krisztina de Châtel, Suzy Blok, and Dylan Newcomb, both as a freelancer and as a company member. Kelly also worked in mime/theater onstage with Jakop Ahlbom and Compagnietheater (Theu Boermans) and in films with makers such as Arno Dierickx and Noud Heerkens. She looks forward to sharing DS/DM the method with the American dance community, bringing a fresh approach to the body and mind. Born in Italy, Nicola Monaco started training in contemporary dance and ballet at the age of nineteen. In 2001 he attended the professional course at Aterballetto, under the direction of Mauro Bigonzetti. At the end of his training he immediately joined the dance company Artemis Danza, directed by Monica Casadei, where he stayed for two seasons. In 2003 Nicola joined ICK Amsterdam (still going by the name of Emio Greco/PC), where he would remain until 2009. He then moved to the UK, working for Akram Khan, Shobana Jeyasingh, Gregory Maquoma, Tom Dale and The Featherstonehaughs, directed by Lea Anderson. 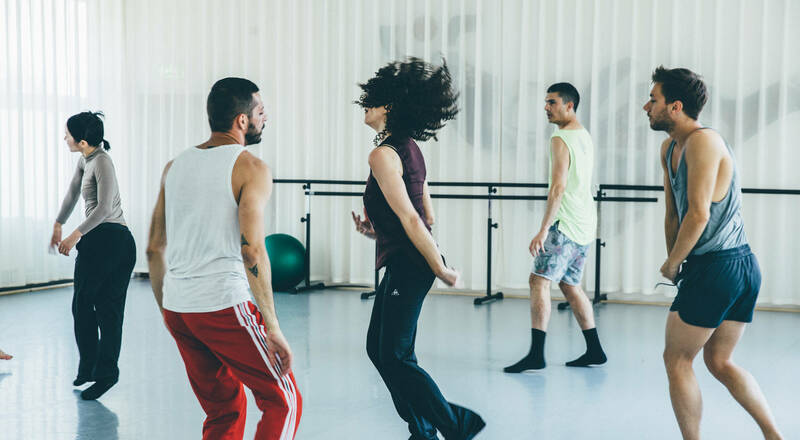 In 2012, Nicola started a collaboration as a guest teacher at the dance department of the University of Malta and worked as a rehearsal director for the Mavin Khoo dance company. From 2016, he’s been appointed as rehearsal director for Zfin Malta Dance Ensemble and started a Master’s degree in Performing Arts (Dance) at the University of Malta. Marie Sinnaeve was born in 1984 in Amiens, France. She started ballet at a young age under Marie-José Delaunay at the Centre de Danse d’Amiens. From 2000 to 2005 she studied dance, anatomy, music and dance history at the Conservatoire National Supérieur de Musique et de Danse de Paris (CNSMDP). She graduated with a degree in modern dance, as well as in modern letters. In 2006 she came to EG | PC as a dancer, dancing with the company until 2010. From 2009, she also danced with Compagnie Le Guetteur under Luc Petton. She also worked for other companies, such as Cie&co, Compagnie du nouveau Jour, Mayemba company (hip hop) and Stefaniesnothere company (Israeli circus and dance), Le Gymnase CDC, etc. Since 2013, Marie has been working as a dancer and choreographer for L’Embellie musculaire company. She is also involved in the pedagogic research and interventions. Since 2015 she has been working for Groupe Noces Danse Image, a dance and theater company, as a dancer and co-choreographer. In 2016 she graduated from the Metareflexology School of Lille and is a dance teacher for people with disabilities. Since 2005, when the collaboration of Greco and Scholten with the AHK began, ICK has developed strong ties with the school. Initially with the research group Art Practice and Development led by Marijke Hoogenboom, which facilitated the Capturing Intention research project and participated in the Inside Movement Knowledge research project. From the relationship with the research group came a steady relationship with the Modern Theatre Dance (MTD) section led by Angela Linssen. The mutual relationship that has persisted ever since offers first- to third-year students time and space within MTD's dance curriculum to study the workshop Double Skin/Double Mind, to use the interactive installation Double Skin/Double Mind and to get busy with the Pre-choreographic Elements and the repertoire of Emio Greco and Pieter C. Scholten. More recently, a collaboration was set up with the Dance Teacher section led by Jopie de Groot, for example in the research phase that preceded the development of the Sensorium – Toolkit for Dance, a set of tools for dance teachers intended to help stimulate the creativity of 10-12 year-old pupils in their dance lessons. The interactive installation Double Skin/Double Mind is a virtual version of the Double Skin/Double Mind workshop. The installation offers participants the possibility to take part in a virtual version of the workshop in real time, while receiving verbal, physical and peripheral information. The design made by Chris Ziegler (ZKM Karlsruhe) - consisting of an aluminum frame construction with one projection screen, four sound speakers and one tracking camera - surrounds the participant. The movement tracking program Gesture Follower developed by Frédéric Bevilacqua (IRCAM) compares the different data of the filmed version of the workshop with the real time data of the participant's movements. As result of this comparison, different forms of feedback are given: sonification, visualization and music will accompany the participants while mentally and physically travelling through the Double Skin/Double Mind structure.